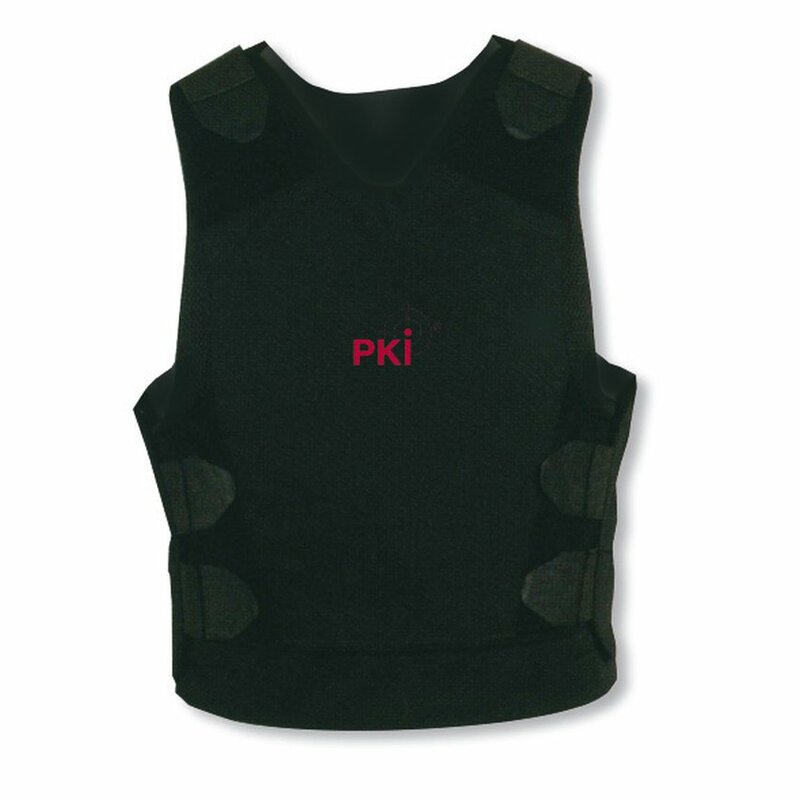 A complete body protecting vest not only consists of protection plates against punch-knife-slash and bullet attacks but of various elements which have to be considered carefully. 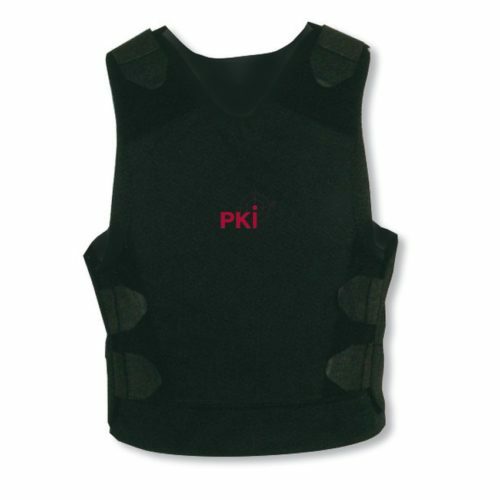 Besides high protection the vest has to provide a maximum of comfort to the wearer so that it is steadily worn. Note: Use of this vest makes sense when application of guns is highly unlikely. This means areas with personnel access control such as prisons, at court, or major events where special security attention is paid.